10,000 to 10,000,000 annually, ISM has capacity to meet your requirements. 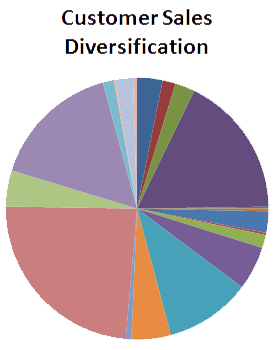 A diversified portfolio protects Industrial Stamping and our customers. Serving multiple Tier 1 customers and monitoring their percentage of sales verse our overall sales minimizes risks and provides our customers confidence for long term relationships.